Up to 50 % OFF* Web, Email & Server Hosting plans visitors. Virtual Private Server (VPS) hosting is actually a virtualized server and its hosting environment mimics a dedicated server within a shared hosting environment. It is technically both shared hosting and dedicated hosting but virtually private. And If these VPS servers are hosted on the cloud servers it is called the VPS Cloud Hosting, so benefits of cloud with VPS in one go. 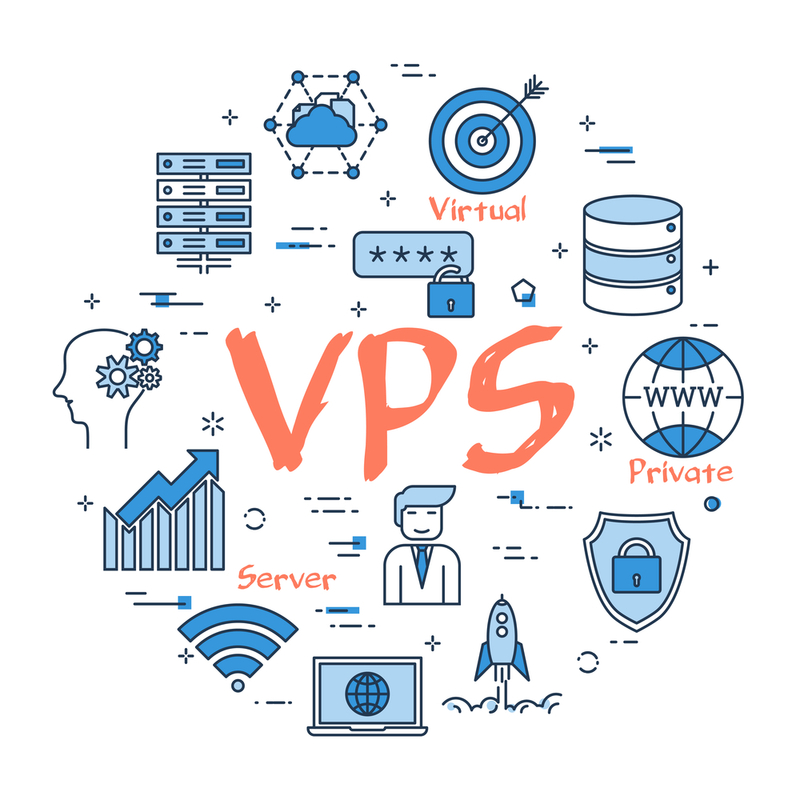 VPS runs has its own operating system (OS) and customers can have different levels of access to that operating system instance, so they can install almost any software that runs on that OS. They are priced much lower than an equivalent physical or dedicated server. And to top of it they are scalable. As one can start from a VPS server with lower specifications, however as the need computational needs increase the hosting provider can assign more resources. Also, the option of having a cloud back up is always there, so your all-important data is always secured and backed up in case of any failure of the server. This all is coming at a fractional of a cost compared to a dedicated server having a dedicated team with external backup resources. At theemailshop.co.uk our networks is designed keeping in mind the challenges of future and all our VPS servers are running on Cloud Architecture while giving the best VPS Hosting packages. So, literally it’s a technology of future. VPS hosting gives you the affordability of shared hosting while at the same time giving you more power and control like a dedicated server. Application Installations If you’re installing server applications that require a system restart, you can do so at any time. Privacy It’s completely secure. As OS is independent and dedicated to your machine so no files etc are shared. Dedicated Resources On a VPS Server, you have dedicated amounts of RAM available to you at any time. Unlike shared hosting, there is no one else on your server that can use utilize all the RAM when you need it most! Scalable With a VPS server, as the needs increases the system resources can be enhanced simply by requesting your hosting provider. Customization With a VPS Server, you have your own Operating System and complete control. You can have your own instances of all server applications such as Apache, PHP, and MySQL. If you need to have any of these services customized, you can make changes to suit the server to your needs. Apache – The world’s most popular web server software. CentOS – A Linux distribution aimed at providing an enterprise-class operating system based on Red Hat Enterprise Linux. Cloud VPS – A VPS on a redundant cloud infrastructure, designed to reduce the impact of hardware failures. Debian – One of the oldest and most popular Linux distributions. DNS – Domain Name System: a bit like a phone directory, this system links domain names to IP addresses. DNS Server – a server that handles requests for domain name information. Email Server – Server software that is designed to manage and serve email to clients. FTP Server – File Transfer Protocol server, a server commonly used for transferring files to a remote server, such as for setting up web sites. HTML – HyperText Markup Language, the language used to create web pages. HTTP – HyperText Transfer Protocol, the method used to transfer web pages from a server to a browser. HTTPS – HyperText Transfer Protocol Secure, as with HTTP but with security added through the use of encryption and SSL certificates. IP Address – Internet Protocol Address, the address used to identify and communicate with a computer on a network. Joomla! – One of the big content management system applications, designed to make creating websites much easier. Probably one of the biggest competitors to WordPress. Linux – The base Kernel, or original system, of the most used computer operating systems for hosting. Magento – One of the big online store software systems, makes setting up your own shop quite simple. Perl – As with Python, many components of a Linux distribution are written in Perl. In the 1990s, many websites used Perl as their back-end language, before PHP rose to dominance. PHP – PHP: Hypertext Preprocessor, the programming language used to power the software behind many of the websites in the world. It’s used by software such as WordPress and Joomla, as well as by websites like Facebook and Tumblr. Python – A popular programming language based on the idea of producing clean and readable code. These days many pieces of software in a Linux distribution are written in Python. It’s also used for websites and services with Reddit, Youtube and Dropbox using it. Redundancy – A term used in reference to redundant hardware, which doesn’t need to be there for systems to run, but is available in case there is a problem with the main system. For example, redundancy in the cloud refers to multiple hardware servers sitting idle, just in case a hardware server fails and they need to take up its load. SSD VPS – A VPS running on hardware with fast Solid State Drives, brilliant for when storage loading speeds are important. SSL Certificate – Secure Sockets Layer Certificate, certificates which are issued from a trusted issuer to websites that a browser can use to verify the authenticity of that website. Ubuntu – A relatively recent Linux distribution, based on the Debian distribution, that has proven popular. Web Server – Software used to serve web pages requested by clients such as web browsers. WordPress – The most popular website software on the internet. Designed for blogging, but has been extended through numerous plugins to be used as product websites for companies through to online stores. We at TheEmaiShop – UK is the company with the tools. Services and necessary know how that you need for your future. So, Visit our site and be a part of future. This article was brought to you by TheEmailShop.co.uk for VPS Hosting, VPS Cloud hosting, dedicated server hosting, cloud servers. We are available 24/7/365 for the last 13 years with the sole aim of providing best services to our clients. Copyright © 2019 The Email Shop. All Rights Reserved.